Today we released a new build of PowerShell Studio 2017 (v5.4.136). In this build, we went down the list and implemented several user-requested features. We had several user requests for this feature. 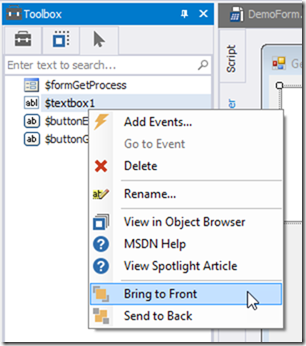 The new navigation feature allows you to jump back to previously visited documents or previous locations within the same document. If you use the Go to Definition feature, it will take you to the declaration of a function. 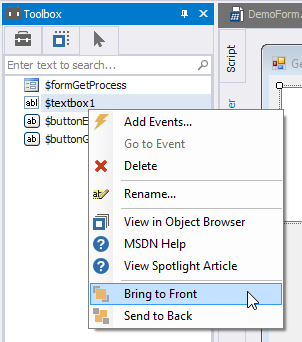 Previously, you had to scroll back to find where you left off, but now you can press the Navigate Backwards button and PowerShell Studio will jump back to your previous line, so you can continue to work uninterrupted. Navigation will also take you back to the previous document when you open or click on different document. Another popular request was to add the ability to splat commands. Splatting is a method of passing parameter values to a command via a hash table or an array. 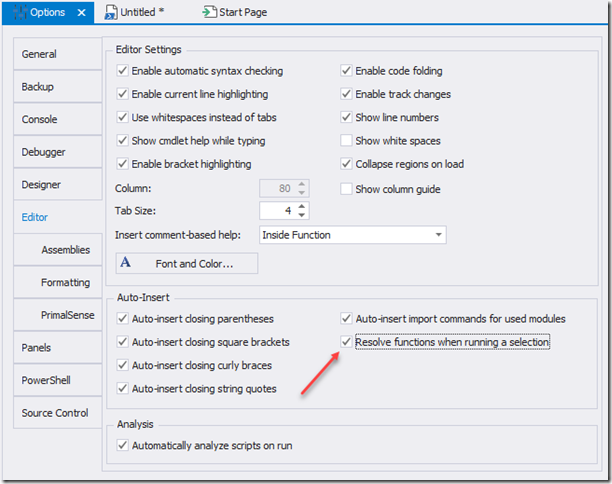 You can “splat” your commands by using the editor context menu. PowerShell Studio’s internal host resets the runspace every time you run a script. As a result, functions declared outside the section (or even in another project file), will not be defined when you use the Run Selection command. 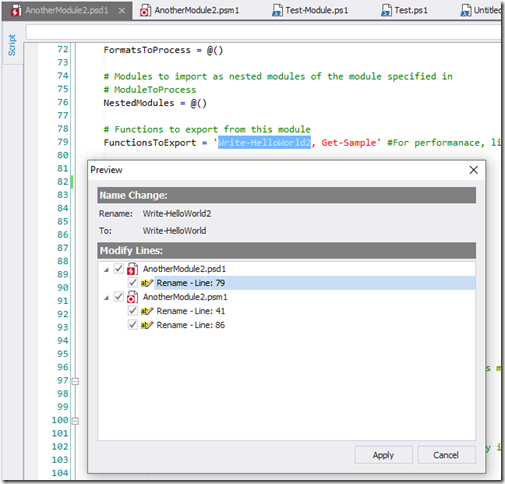 In a project context, PowerShell Studio will also automatically resolve functions defined in other project files. Important: This option only applies to Run Selection and not to Run Selection in Console. The using statement saves you from having to type the full name of a Type object. 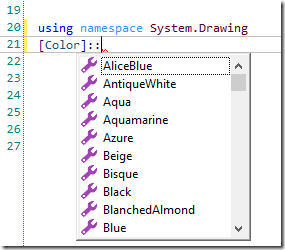 PowerShell Studio will now take into account the using namespace statement defined at the top of the document to correctly provide syntax coloring and PrimalSense support. 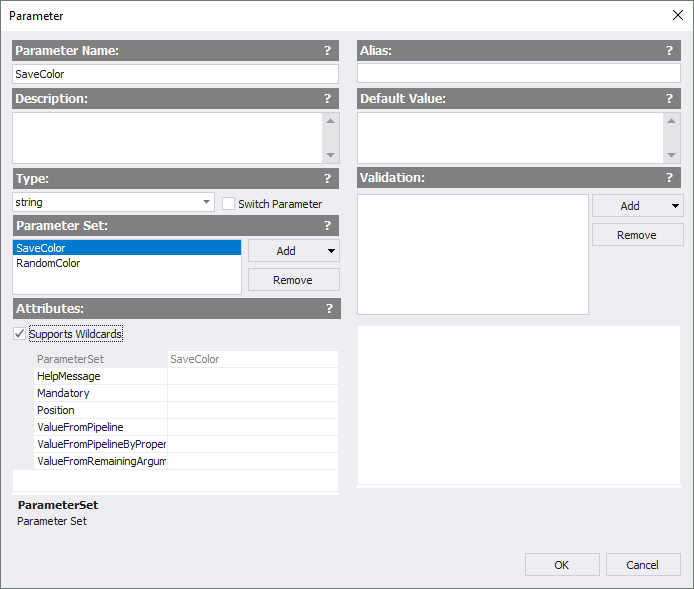 PrimalSense will now display common parameters at the end of the PrimalSense list when the Sort parameters alphabetically option is disabled. This ensures that the command parameters take precedence over common parameters. 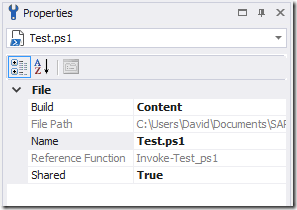 Setting the Shared property of a project file tells PowerShell Studio to provide PrimalSense for the functions defined in the file, across the whole project. 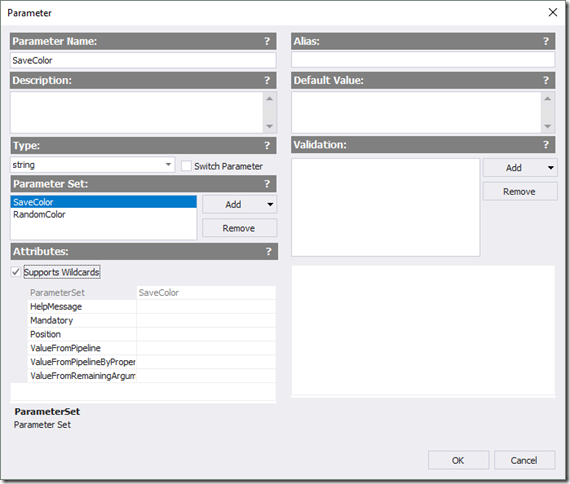 Previously, this setting only worked if the Build property was set to Include. With this service release, you can do the same with ps1 project files with the Build property set to Content. This comes in handy when dealing with a module project where you dot source the files into the module programmatically and still get the benefit of PrimalSense when working with multiple content files. When you hover over a file in the Project panel, it will now provide you with a tooltip containing the file path information. Not a new feature, but it is worth mentioning that this build improves the loading speed of large projects. 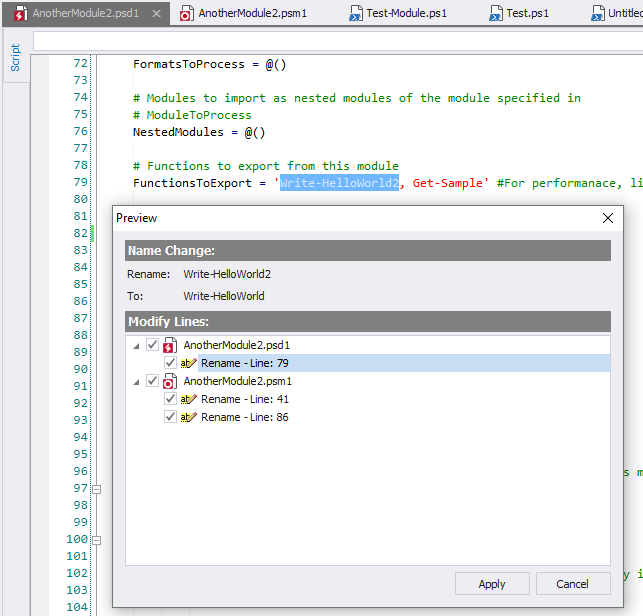 When you rename a function using refactoring, PowerShell Studio will now update the module project’s manifest as well. Now without having to find the control in the designer itself, you can send it straight to the top using the Bring to Front command using the Tools panel. 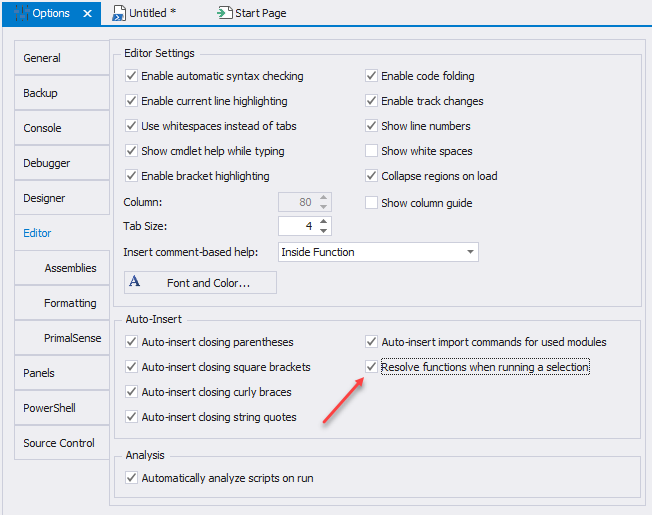 This build introduces two new packager options that relate to Script Block logging. 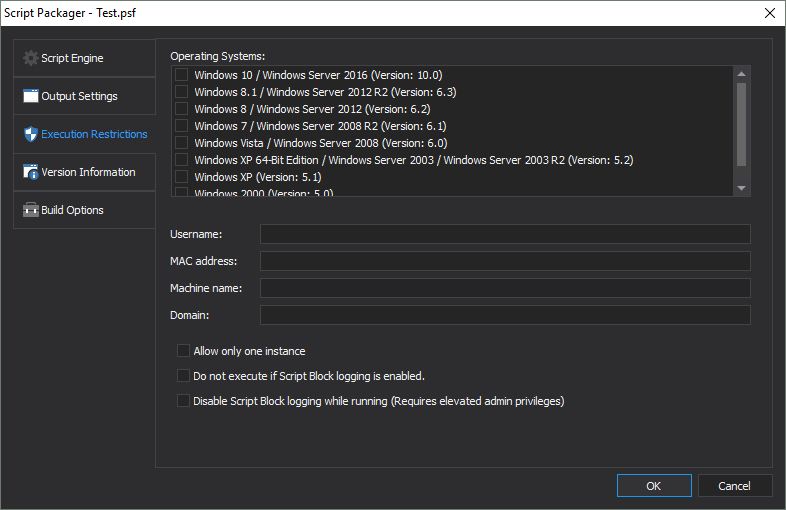 When enabled, this option will prevent the executable from running when Script Block logging is enabled on the host machine. When enabled, the packaged executable will disable Script Block logging when executing. This setting requires admin privileges in order to disable the logging. Important: If the executable is unable to deactivate logging, it will continue to run, unless you enable the do not execute option above. These new options offer another layer of protection for scripts that contain sensitive information. Note: The software will require internet access in order to deactivate a subscription number successfully.